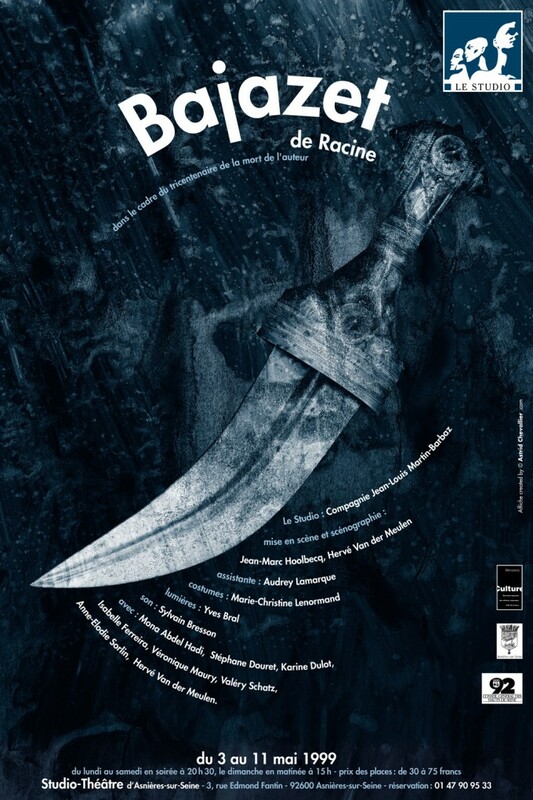 Poster for the theater play “Bajazet” by Racine. “Bajazet” is a tragedy by Jean Racine in five acts (composed of 4, 5, 8, 7, and 12 scenes, respectively), in Alexandrian verse, first played at the Hotel de Bourgogne, on January 5, 1672, after Berenice, and before Mithridate. Like Aeschylus in The Persians, Racine took his subject from contemporary history, taking care to choose a far off location, the Ottoman Empire.